BCS’s newest mower is also one of its best: the RollerBlade flail mower is ideal for shredding cover crops for quick decomposition. 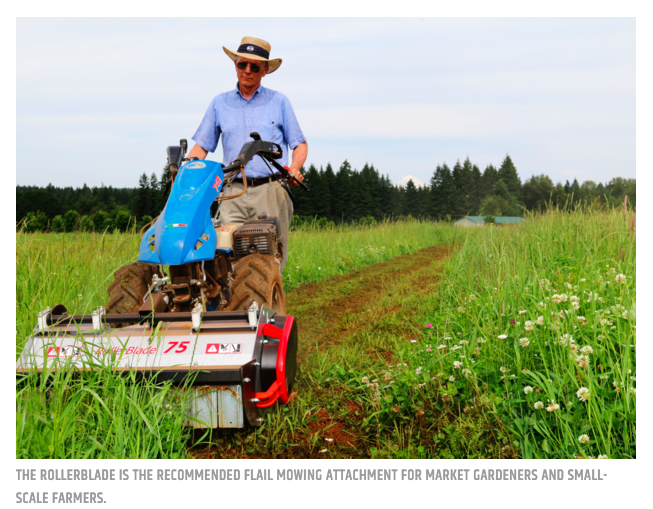 We recommend that market gardeners seriously consider the RollerBlade when comparing its features to the standard Flail Mower. It has several differences, including a full-length roller with an easy-to-use crank handle that provides an infinite range of mowing heights, ranging from 0.5 to 2.5 inches. Prevents “scalping” when the mower is adjusted to its lowest height setting, even on soft soil or raised garden beds. Easier to traverse rough terrain (such as V-ditches) because the roller is located closer to the tractor wheels than skids or caster wheels. This reduces the overall length of the machine. 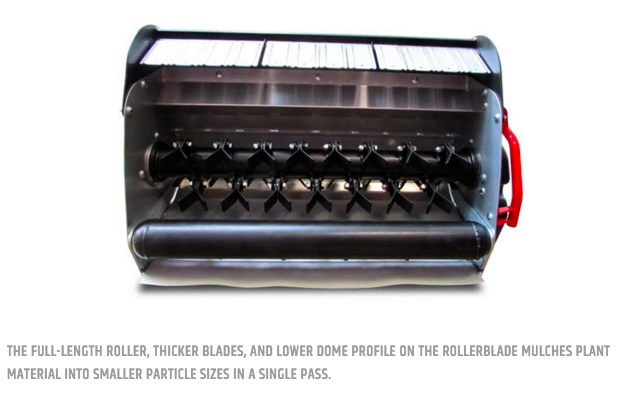 The RollerBlade also features wider and thicker blades, plus a lower dome-shaped housing which produces a smaller particle size in a single pass than the standard Flail Mower. 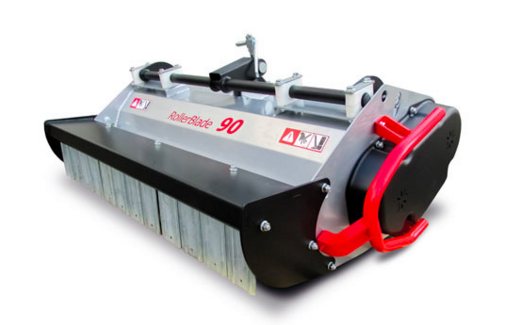 The RollerBlade is currently available in a 30” cutting width only. Like other BCS mowing attachments, the RollerBlade can mow anything it can bend, but because of its lower dome and 2.5” maximum mowing height, we still recommend the standard Flail Mower for “all-purpose” applications. This includes mowing tall, dense material. Lower dome produces smaller particle size in a single pass. Full-length roller that is adjusted via easy-to-use crank handle. Cutting height range from 0.5 to 2 inches. Wider and thicker blades than standard Flail Mower.